DUBAI, United Arab Emirates (AP) — The International Monetary Fund said Thursday it is advising Saudi Arabia to slow down some of its sensitive cutbacks as economic growth remains stagnant this year and unemployment rises. The IMF says non-oil growth is projected to dip below 2 percent in 2017 while overall economic growth is expected to be close to zero. The kingdom announced recently that unemployment had risen to 12.8 percent. While the kingdom’s budget deficit is expected to narrow this year, IMF Mission Chief Tim Callen warned that Saudi Arabia’s pace of fiscal consolidation “is probably too rapid” because households and businesses need more time to adjust. “The planned fiscal consolidation should proceed more slowly,” he told reporters Thursday during a webcast. 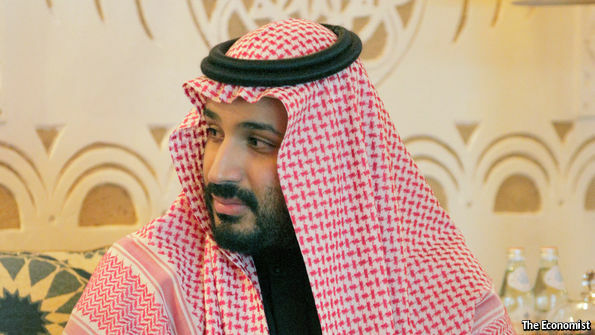 Still, he hailed the Saudi king’s surprise decree last week to lift the ban on women driving . Saudi Arabia was the only country in the world to impose such a ban. The reversal of the ban — which goes into effect next summer— is seen as an economic boost because it will free many women from the constraints of having to arrange their transportation to work. For others, it will also alleviate the costs of hiring a private driver or of having to rely on ride-hailing apps like Uber and its local competitor Careem to get around. Government statistics released earlier this week show that women make up the overwhelming majority of job seekers in Saudi Arabia. Also, around 34 percent of Saudis seeking employment are between 25 and 29 years old. That number is expected to grow with half the population under 25. “It’s not surprising that unemployment has not come down given the weak growth of the non-oil economy,” Callen said. Callen said the IMF is advising the Saudi government to “set clear expectations about limited options in the public sector” where the bulk of Saudis are employed. The public wage bill eats up around 45 percent of total government spending.